The bizarre drama between Senator Dino Melaye and the Nigeria Police entered the second day Tuesday when the senator representing Kogi West in the National Assembly surrendered to the police in the morning, was in the process of being conveyed by the police to Lokoja, Kogi State for his arraignment by afternoon, but supposedly escaped from the custody of the police before the vehicle conveying him could depart Abuja. Melaye, who was scheduled to travel to Morocco on Monday morning, was stopped and detained for a few hours by the Nigerian Immigration Service (NIS) at the Nnamdi Azikiwe International Airport, Abuja. 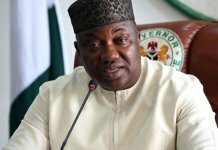 However, shortly after he returned to his residence in the Maitama neighbourhood in the capital city on Monday, riot policemen who were later joined by operatives of the Department of State Services (DSS), laid siege to his residence, in a bid to arrest him on allegations of gunrunning. But Melaye, who has had a running battle with his state governor Yahaya Bello and had accused him of being behind his travails, refused to surrender to the police on the grounds that they had not informed him of his offence. Eventually, he voluntarily ended the 20-hour stand off with the police when he gave himself up Tuesday morning. Upon his arrest, the police stated that he had been taken into custody and was to be moved immediately to Lokoja where he was to be paraded with his â€œaccomplicesâ€ and arraigned. But as police convoy was conveying Melaye to Lokoja, men believed to be working for the senator were alleged to have ambushed the convoy at the Garki Area 1 neighbourhood in Abuja, resulting in the senatorâ€™s supposed escape. While sources said that Melaye had jumped out of the moving vehicle and scampered away from the policemen who were too shocked to react, the police in a statement Tuesday alleged that hoodlums blocked the police vehicle conveying Melaye, and in the process the senator jumped out of the vehicle through the window and escaped with the hoodlums to an unknown destination. The statement issued by police spokesman, ACP Jimoh Moshood, said: â€œAt about 1200hrs of today (Tuesday), Senator Dino Melaye while in lawful custody of the Nigeria Police Force personnel and being taken for arraignment at the Federal High Court Lokoja from Abuja, escaped from lawful custody when hoodlums and miscreants in two Toyota Hilux vehicles blocked the police vehicle conveying Senator Dino Melaye around Area 1 roundabout, Abuja, and in the process the senator jumped out of the police vehicle through the window and was rescued from the policemen by hoodlums and miscreants to an unknown destination. â€œThe police team re-enforced and trailed Senator Dino Melaye to Zankli Hospital, Abuja, where he was re-arrested. The Senator would be arraigned in court without further delay. â€œMeanwhile, one of the Toyota Hilux vehicles used by the hoodlums and miscreants in aiding the escape of the senator has been recovered by the police investigation team. A ladyâ€™s car was said to have been damaged during the incident. The statement by the police, however, showed that they lied about his escape and may have aided his escape, as a video recording by a passerby which went viral Tuesday, showed Melaye seated on the roadside at Garki Area 1 where he was surrounded by armed plainclothes policemen and some passersby who had started to gather at the scene. Also, some sympathetic passersby advised him to call his colleagues in the Senate to come to his assistance. Later, Melaye was whisked away by some unknown men who appeared to be armed. His escape, however, led to the senator supposedly sustaining injuries and his hospitalisation at Zankli Medical Services, Abuja. When THISDAY visited the hospital, staff of Zankli initially declined to confirm that Melaye was in the hospital. A source later said that a senator was brought in Tuesday, but refused to provide his name. 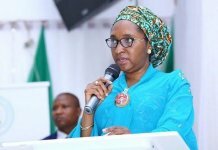 A few minutes later, a riot police unit led by the FCT Commissioner of Police Sadiq Bello arrived the hospital cordoning off the hospital surroundings and commenced a search of all the hospital rooms. There was pandemonium as policemen ransacked the hospital, with patients thrown out of their sickbeds, some running for their lives while some staff of Zankli were arrested by the police. It took the intervention of a retired army major general and the hospitalâ€™s director of administration for calm to be restored. The retired army general who refused to give THISDAY his name, expressed displeasure at the conduct of the policemen, demanding that they must all vacate the hospital. The arrival of senior police officers led to some of the policemen vacating the hospital while others continued with the search for Melaye. Melaye was later found in the VIP section of the hospital, which the police immediately cordoned off. Speaking to THISDAY, a senior police officer, who pleaded anonymity, as he was not authorised to speak on the issue, explained that Melayeâ€™s escaped amounted to absconding â€œfrom legal custodyâ€. He said that some hoodlums believed to be linked to Melaye had blocked the police vehicle conveying him to Lokoja, adding that while the melee ensued, the senator jumped from the vehicle and absconded. 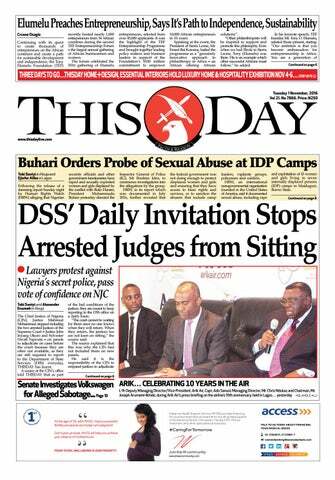 THISDAY also learnt that the police team was insistent on moving Melaye to Lokoja last night. Accordingly, an ambulance and other utility vehicles were brought in to ensure that Melaye was provided with adequate medical care for the trip to Lokoja. However, the attempt to move him was stopped by the doctors treating him and some senators who arrived the hospital Tuesday evening. Senators sighted by THISDAY included Abua Ibrahim, Baba Kaka Garbi, Ali Aidoko, Sani Mustapha Muhammed, Ibrahim Gobir and Rafiu Ibrahim. After visiting Melaye at his bedside, one of the senators who spoke to reporters who had besieged Zankli Hospital, declared that Melaye was in no condition to be moved to Lokoja Tuesday night. â€œUnder his condition, Senator Melaye cannot be taken away from the hospital. I saw him with bandages on his hand. I am not a medical doctor, but still, I donâ€™t think he should be taken away from the hospital,â€ he said. As the mayhem ensued in the hospital, which saw the police arresting Melayeâ€™s brother and a doctor at the hospital, some patients who were on admission, started to discharge themselves voluntarily by evening. Eventually, it was agreed that Melaye should be transferred to the National Hospital, Abuja, a much bigger medical facility run by the federal government. He was moved in a police ambulance with registration number NPF221AD. Accompanying the ambulance were 45 police utility vehicles and well over 100 uniformed and plainclothes policemen. The operation was led by the FCT Commissioner of Police, Sadiq Bello. Meanwhile, a statement issued by Melayeâ€™s media aide, Gideon Ayodele, claimed that his principal was a law-abiding citizen and the attempt to convey him to Lokoja was targeted at eliminating him completely. â€œEarlier in the morning, Senator Dino Melaye as a law-abiding citizen voluntarily submitted himself to the operatives of the Special Anti-Robbery Squad (SARS) who had laid siege to his private residence since 3.35pm of Monday, April 23, 2018.
â€œHe, along with his lawyers and personal aides, was driven in his private car to the SARS office in Guzape district of Abuja, sandwiched among the numerous police vehicles earlier deployed in his house. â€œFor the avoidance of doubt, he had never evaded police invitation before now because there was none extended to him in the first place. Rather, what the Police Force PRO, Mr. Jimoh Moshood, had been doing was to summon the senator through media briefings, a practice which is unconventional. 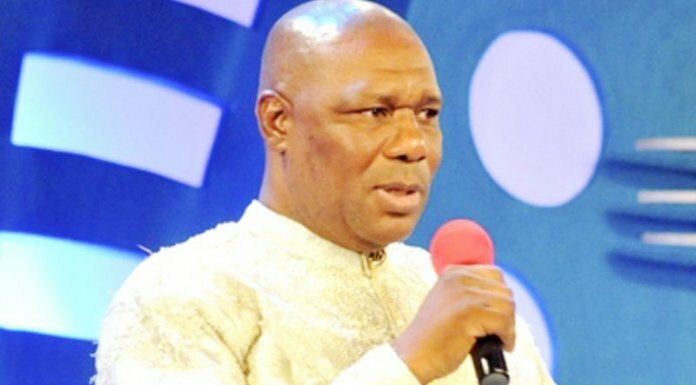 â€œBut given the media hype the whole saga had generated, especially his unwarranted travails in the hands of immigration officials at the Nnamdi Azikiwe International Aiport in Abuja on Monday, April 23, and the attendant but dramatic police siege to his private residence thereafter, where family members and political associates were subjected to a traumatic experience for hours, it became necessary for Senator Dino Melaye to end the drama, hence his choice of appearing before the police today (Tuesday). â€œLater on, they moved to take him to Lokoja in Kogi State. The public will vividly recall that the case involving Senator Dino Melaye had already been transferred to Abuja by the Chief Justice of the Federal High Court after Senator Melaye expressed worry about his safety in Lokoja. â€œNow, the question is why will they want to forcefully take him to Lokoja? The senator believes they are doing the Kogi governorâ€™s bidding in order to assassinate him. But the police, in a statement earlier Tuesday, countered the claim saying that they had obtained a warrant for Melayeâ€™s arrest and trailed him to his house in Maitama, Abuja on Monday, which they cordoned off. â€œHe however surrendered himself to the police this morning, 24th April, 2018 for investigation on the allegations against him,â€ the statement said. The police said they acted on actionable intelligence after personnel of the Kogi State Police Command and Federal Special Anti-Robbery Squad had trailed and arrested two suspects â€“ Kabiru Saidu, a.k.a Osama, 31 years, and Nuhu Salisu, a.k.a Small, 25 yearss â€“ on the 19th January, 2018 at Ogojueje in Dekina Local Government Area of Kogi State. â€œDuring investigation, they confessed to the various criminal roles they played in the commission of several kidnappings and armed robberies in different towns across Kogi State and its environs for which they had been on the wanted list of the police for more than two years now. 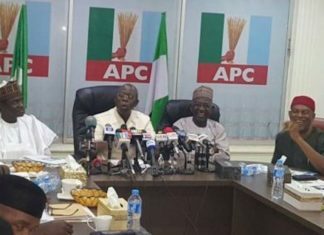 â€œThe gang leader Kabiru Saidu, a.k.a Osama, revealed that he and his gang had been working as a political thug for one Alhaji Mohammed Audu a politician in the state and that Alhaji Mohammed Audu invited him to Abuja and introduced him to Senator Dino Melaye and they met on Airport Road, Abuja inside the Senator Dino Melayeâ€™s car in the month of December, 2017.
â€œHe further revealed that Senator Dino Melaye handed over a bag containing one AK47 rifle, two pump action guns and the sum of N430, 000 to share with his boys. 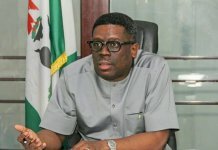 â€œConsequent on this indictment on the senator, The Nigeria Police Force sent a letter of investigation activities/invitation dated and acknowledged on 2nd March, 2018, addressed to the Senate President, Federal Republic of Nigeria informing and requesting him to release Senator Dino Melaye to report to the police on the 7th March, 2018 to answer to the criminal offences of conspiracy and unlawful possession of prohibited firearms levelled against him, and another separate letter was equally written in this regard, this was to enable the police investigation team carry out a discreet and thorough investigation into the case. But Senator Dino Melaye refused to honour the police invitations. â€œSequel to his refusal to honour police invitations, he was therefore watch listed through the Nigeria Police Interpol Office and in compliance to the Interpolâ€™s â€˜Watch Listâ€™, the officers of the Nigerian Immigration Service intercepted and collected his international passport from him at the Nnamdi Azikiwe International Airport, Abuja. While this was on, he snatched the passport from the officers at the Airport and bolted away to his house. â€œIn furtherance to this, the police obtained a warrant of arrest and trailed him to his house at Maitama, Abuja, and cordon off the place. â€œHe however surrendered himself to the police this morning, 24th April, 2018 for investigation on the allegations against him. â€œThe Nigeria Police Force will continue to sustain the rule of law and maintain law and order throughout the country,â€ the police said in the statement.